Local authorities have cottoned on to the cost benefits of LED lighting in our streets, and in government owned buildings across their portfolio. But to what extent can LEDs help squeezed budgets? Society of Light and Lighting Secretary Brendan Keely takes a look. Just under a year ago, the UK Government affirmed its commitment to the 5th Carbon Budget which binds it to a target of 57% cut in carbon emissions by 2032 – with a view to an 80% cut by 2050. This is a refreshingly ambitious target, but according to Dr Hywel Davies of the Chartered Institution of Building Services Engineers (CIBSE) it will mean that the Government must maintain all of its current climate policies and find further ways to make cuts if it is to stand any chance of hitting this goal. This means the Government is going to have to get creative in order to eke out savings above and beyond what it is already doing. Last year I wrote that a great way of cutting down on emissions is to target the 180,000 government owned buildings in the UK, two-thirds of which are run by local authorities – encouraging them to switch to properly designed and specified LED lighting solutions in order to save money and carbon. Since that article was published, local authorities across the UK have been rolling out LEDs en-masse for their environmental and budgetary benefits, in new builds, as part of retrofits, on motorways and in street lighting. With most local councils aiming to replace all of their sodium-based street lighting with LED alternatives gradually over the next decade, LED will soon be a fixture just about everywhere. Much has been made of the great efficiency savings that can be made with LED technology – since the year 2000 LED lights have become ten times more efficient and can boast far longer lifespans than even the most advanced fluorescent lights. Combined with other measures to boost efficiency, such as controls systems, LED solutions can represent a step-change in the efficiency of a building’s lighting – up to 80% savings in some cases. 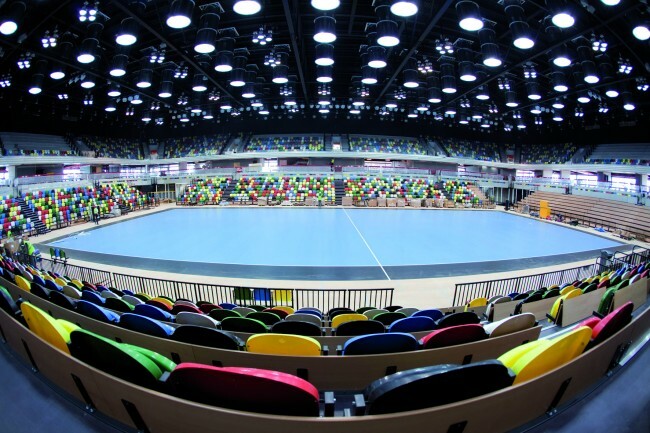 The maths also looks good from a lifetime perspective as well – a combination of a long life, energy efficiency and low maintenance costs are a great asset to facilities managers worried about the overall cost of a new technology. In this vein, they are also easy to integrate into existing energy management systems: They can easily be set to dim automatically or turn off altogether to reflect the number of people in a room, the time of day or the time of year. This applies on the scale of a single room, a whole building, a stretch of road or a whole town, and can save money without jeopardising safety because their efficiency actually increases when they are dimmed. The energy and carbon savings possible with LED lights are well documented, and local government has bought into their potential on a large scale – but simply seeing LED as a cheaper, newer replacement for fluorescent lights that tick a few green boxes seriously underestimates their other benefits. At the recent CIBSE Technical Symposium, Ashley Bateson of Hoare Lea observed that only 1% of the cost of running a business is energy related while 9% is rental and a massive 90% is staff costs. The health and wellbeing of the occupants who live and work in a building is hugely important to a company’s bottom-line, because staff absence and illness costs more than any amount of inefficiency, but it can’t be easily measured on a meter so is often overlooked. The effects of the built environment on health are numerous, complex and touch just about every element of a building. Just sitting next to an open window can reduce a staff member’s sick days by as much as 6%, for example, and higher CO2 concentrations can reduce student’s cognitive performance by 72%. Lighting is no exception to this. 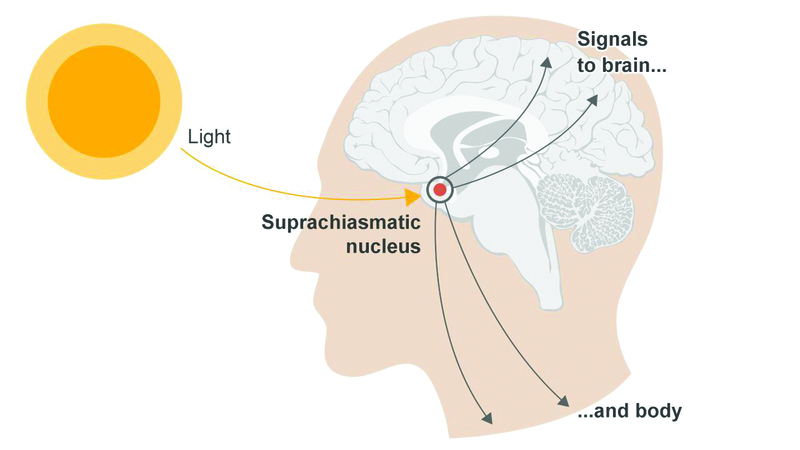 The most well-known application of lighting to wellbeing is in the human Circadian Rhythm - the biological processes that regulate our waking and sleeping hormones. 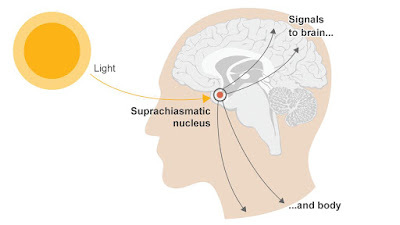 Since researchers discovered that this cycle is greatly affected by light, when less light enters the eye it tells our brains that it’s dark and time to sleep or when brighter time to wake up, much has been made of the role of artificial light in this process. Too much blue light in the evening can fool the body into thinking that it’s day time – thereby interfering with the natural sleep cycle. Daylight remains the most effective means of keeping the Circadian Rhythm in check, but with the advent of LED lights that can mimic a range of colours and intensities it is increasingly able to replicate natural changes in the spectral distribution of the light to mimic natural light, to the extent that it can offset the damage to mood and sleep cycles linked to prolonged periods in doors. The light changes colour during the day – from colder blue light in the afternoon when we need a boost to be active to warmer colour temperature light in the evening when we’re resting. In the winter months when it gets dark early, it could even mean the difference between a well-rested workforce and a tired one. 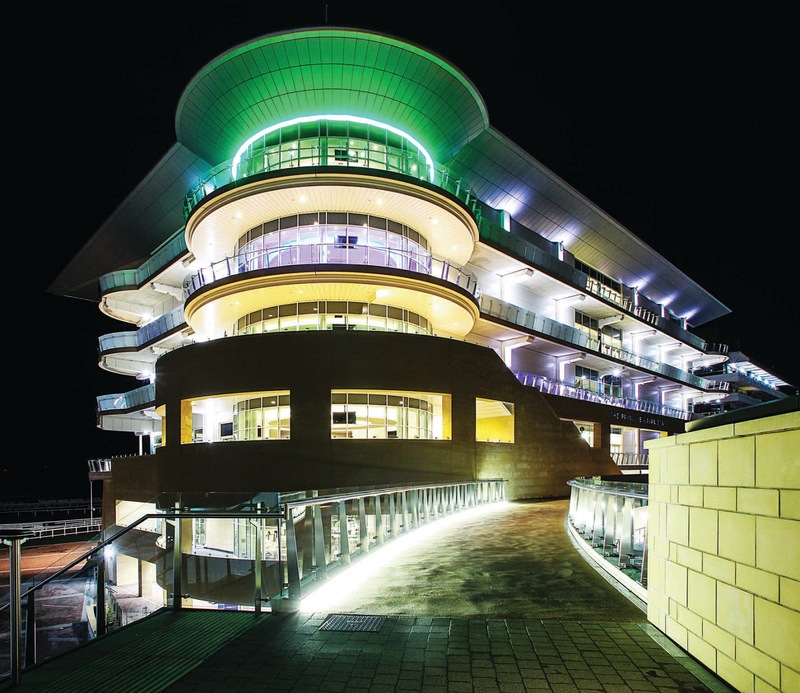 The versatility of LED technology also allows designers to create bespoke solutions that create a balance between the light’s usefulness and its impact on health. Obviously a workplace needs to be well-lit enough to be safe and functional, but the impact of lighting too intensely from above can be anything from eye pain caused by glare or flicker. It can even make a room harder to see, by creating dark areas where there isn’t a balanced light distribution. 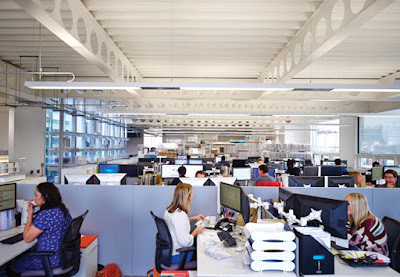 Using control systems in conjunction with LEDs, it is possible to reduce these problems by setting light intensity to match the local requirements, and allow office users to choose their own settings for comfort. Even the ability to adjust lighting levels gives building users a psychological boost that lowers absenteeism and increases productivity. LED lighting is crucial here because they not only produce light, but the right kind of light for a workplace environment. There are numerous studies that link brighter offices with increased productivity, motivation and enhanced wellbeing. The flexibility of LEDs not only allows us to light the room more effectively, but with the right kind of light to ensure the lease disruption. While the savings attributable to energy efficiency caused by the switch to LED lighting is great for local authorities, it really only scratches the surface of what is possible for the whole range of publically owned buildings – from workplaces to leisure facilities, schools, hospitals and libraries. A 1% increase in productivity or health of employees can far outweigh all of the savings achieve through efficiency. But it’s all down to how LEDs are implemented and deployed within buildings. In order to ensure that the technology is properly utilised so that it is as effective and efficient as possible, local councils will have to ensure that it is professionally designed as part of a wider strategy that bakes efficiency into the design of their buildings. It’s not as simple as replacing one technology with another like-for-like: it needs to be properly designed and installed by an engineer or designer following industry guidance, such as that produced by the Society of Light and Lighting and the Chartered Institution of Building Services Engineers, to be as effective as it can be, and ensure that works harmoniously with the building, the occupants and the other systems in play.